Learn about a new "superpower" that isn't being taught in in 90% of US schools. With the institutional resources shrinking and the costs rising, teachers are being asked to do more with less. John Seely Brown explores how technology can help. Noted writer, speaker, and educator John Seely Brown discusses learning in the digital age at a guest lecture at IU. Brown is currently a visiting scholar at the University of Southern California and serves as an independent co-chairman for the Deloitte Center for Edge Innovation. On this weeks Technically Speaking we take a look into the Teacher Exploration class to learn about all the hands on training and their unique style of learning. Mechatronics is the merging of multiple engineering disciplines into a broader field. In the Mechatronics program, students are taught the integration of electronics, mechanics, pneumatics and programming to create economical and reliable automated systems that can be used in industrial, medical, and residential settings and in efficient transportation systems. Sir Ken Robinson outlines 3 principles crucial for the human mind to flourish -- and how current education culture works against them. In a funny, stirring talk he tells us how to get out of the educational "death valley" we now face, and how to nurture our youngest generations with a climate of possibility. The #1 Challenge for Teachers and School Administrators is Teaching Students Affected By Poverty. There is an element that the education community is powerless to control -- Poverty. In the past two years, the rate of poverty has grown at an alarming rate and now even traditional middle-class schools are feeling the pressure that comes with the stress of poverty. Microsoft release special pricing for the mobile Microsoft surface market. The Ultimate Microcontroller Pack includes everything you need to dive right into the world of microcontollers. The 100+ components allow you to complete nearly any online tutorial without having to source individual parts. Everyone from beginners to advanced users will appreciate all that the Ultimate Microcontroller Pack has to offer. This really is the ultimate parts assortment! Mosio for Libraries is the leading virtual reference and patron support software for libraries. Mosio enables librarians to respond to patron questions more efficiently through a single, web-based dashboard. How do we recognize and value the way we learn today? Badges are a new idea to recognize the learning that happens anywhere and share it in the places that matter. Learning happens everywhere in the city—in libraries, parks, museums and cultural institutions, community-based organizations, colleges and universities, schools, and beyond. This summer, Mayor Rahm Emanuel is challenging all Chicago youth to participate in the Summer of Learning, a citywide effort to engage youth in hands-on learning opportunities—particularly in science, technology, engineering, arts, and math. School stops for the summer, but learning never should. President of the 21st Century Learning Initiative, John Abbott, talks through the history of school boards in English education. A recent article in the British press suggested a return to the school board system for managing education. A good idea? John takes a look. Mobile learning is seen by many as a disruptive technology. This is because it has been identified as a technology which holds great potential to transform the learning and teaching within a classroom. What follows is a mashup presented at the NSWDEC 5th biennial equity conference in 2011 which explains some of the issues. Check out: http://www.skillagents.com/how-to-cha... for the whole scoop on the "Do Good, Be Good" technique. Sign up to the newsletter and never miss an article or video! Research based on The Redirect: The Surprising New Science of Psychological Change by Timothy Wilson. Screenr - this is a great free web tool to create 5 Min. Videos with. Technology rules at Open High where their approach to learning embraces the idea that teaching shouldn't be as static as the textbooks on which it's based. Shattering traditional methods, the Open High School of Utah curriculum is built from open educational resources. These resources are the foundation for their content and are aligned with Utah state standards to ensure the highest quality educational experience. The teachers enhance with screencasts, interactive components, and engaging activities to create high quality curricula for their students. Visit www.openhighschool.org for more info! Guy Kawasaki: What Makes Innovation? At Cisco Live in San Francisco, Silicon Valley entrepreneur Guy Kawasaki, author of "Reality Check," talks about the four qualities of innovation that he believes all successful products need. They are: deep, intelligent, complete, and elegant. The Frontiers of Innovation (FOI) initiative and online community, developed by the Early Childhood Innovation Partnership, is designed to forge cross-sector collaborations and create high-impact strategies to foster innovation in the field of early childhood programs and practices. The community launched with an invitation-only conference at Harvard University on May 3-5, 2011, and this video was one of the three created specifically to set the stage for discussions at the meeting. This 5-minute video depicts a theory of change from the Frontiers of Innovation community for achieving breakthrough outcomes for vulnerable children and families. It describes the need to focus on building the capabilities of caregivers and strengthening the communities that together form the environment of relationships essential to children's lifelong learning, health, and behavior. Launched in May 2011, Frontiers of Innovation (FOI) focuses on the work of a community of more than 400 researchers, practitioners, policymakers, philanthropists, and experts in systems change from across North America. The goal of FOI is to bring about substantially greater positive impacts for vulnerable young children whose needs (or the needs of their caregivers) are not being fully met by existing policies and programs. To do that, FOI seeks to spur the field by forging cross-sector collaborations that prompt creativity, support experimentation, and learn from experience. We know from research that is we want to help students it needs to start shortly after birth and this project is looking at ways to help this happen. The window to apply for MACUL grants is open. The great thing this year is that MACUL membership is free, so even though you have to be a MACUL member to apply for a grant, it's as simple as going to www.macul.org and filling out the membership form and you're a member. The Best of MACUL is headed our way! Registration is now open for the Best of MACUL; education technology workshops held this summer in 8 locations across Michigan. Partnering with the REMC Association of Michigan, these half and full day workshops offer another opportunity to attend exemplary sessions offered by exemplary presenters. Sites: Oakland Schools (7/22), Tuscola ISD (7/24), Bay Arenac ISD (7/25), Calhoun ISD (7/26), Clare-Gladwin RESD (7/30), Eastern UP ISD (8/1), Muskegon Area ISD (8/6) and Ottawa Area ISD (8/8). Topics include: Common Core, iPads and mobile devices, Web 2.0, Moodle, Twitter, digital portfolios, Google apps, online learning, 1:1 programs, flipping the classroom, smart phones, interactive white boards and much, much more. 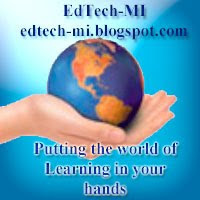 To keep up with the ever changing world of education technology, it's the Best of MACUL! Do you know someone that challenges the status quo? It is time to challenge the systems that are not working.